Popular website platform WordPress has announced it will no longer be supporting Internet Explorer 6. 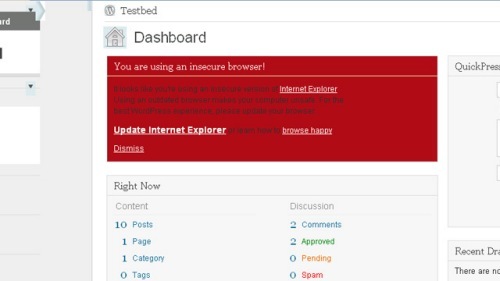 Users of WordPress will still be able to use Internet Explorer 6 to view the site, but it won’t work very well. WordPress will show you a big red warning if you try. The changes will take effect when the new version of WordPress (3.2) is launched in June. So keep on top of those upgrades.